RETURNING THE GAVEL TO ILWACO proved to be a fun event attended by 10 masons from Longview, Kelso, Castle Rock, and Woodland / Kalama . We met at the Kelso lodge and left promprtly at 4:30 arriving a little after 6pm in occident #99. Clint Hash and Ray McDermott drove the brothers down. Attending were George Roberts, Clint Hash, Ray McDermott, Harold Mckinster, Dave Freidenberg, Jeff Clemmens, Dave Foskett, Pat Everdell, and Ed Geary. Brother John Kohler was preveiously in the area and also attended. Who did I miss? The Brothers had a corn beef and Cabbage meal which was delicious. During the meeting TWO presentations were made. The first presentation was by George, Pat, Dave Foskett, and Ed Geary returning the Gavel. The Master of Occident #99 during the time the gavel was "confiscated" by WB George was present and it was returned to him. The gavel had been in posession during three years of George as Master, Dave Foskett as master, and Pat Everdell as master. That has put the time in protective custody at five years. whew! We did have the opportunity to Re-acquire both of their gavels, but let's save that for another time........... Hmmmmmm! Brothers and friends. We are coming of age. The age of instant global communication. How far the computer age has progressed in only one decade. Ten years ago only 1 household in 50 owned a personal home computer. The internet was in its infancy. Webpreneuer was a new job title. Today there are more computers per household than televisions. What a dramatic advance. Today, not even the sky is the limit! Today, it is only prudent that the masonic lodges embrace this application and utilize it for the benefit of the lodge and our community. Thus, without fanfare Castle Rock Lodge #62 of the Most Worshipful Grand Lodge of Free and Accepted Masons of Washington steps into the age of instant global access. CThe purpose of the trestle board has been for the master of a lodge to communicate with its members. These were mailed out and presumably received and read by them. Today this cost can be substantially reduced by this posting. The master can also make changes relatively instantly which members can log on and see what has been recently updated without waiting for a phone call that may be missed or mail which will arrive days later.d your text. Therefore this is Castle Rocks Trestle Board and will contain and reflect the masters design for our lodge. It will be necessary to check it periodically and keep up to date with the activities and direction of the lodge. These are goals that our lodge can achieve brothers. Of course it will take us working together and following through to completion. The result will be a strong lodge, a large happy membership, and an improved community to name only a few. Other benefits naturally will follow and fit hand in hand with one another. Let's roll up our sleeves brothers, properly clothe ourselves and have some fun while doing well. Castle Rock has had a lot of activity in January. 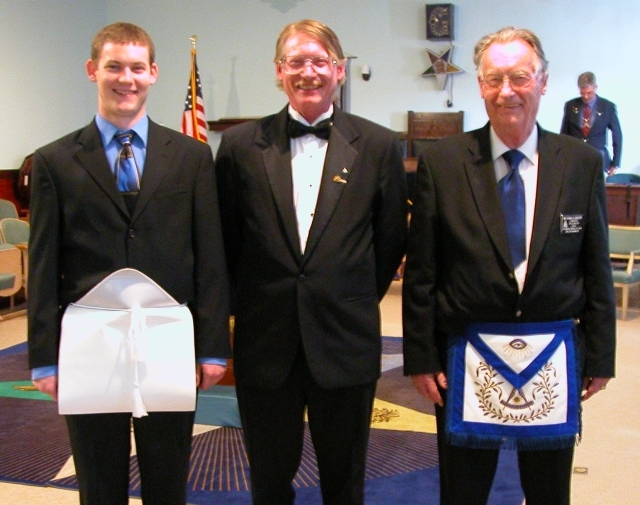 We have held a courtesy degree for Longview #263 for two fellowcrafts. It went very well, the members of the degree team knew their work well, and put on an impressive degree. Worshipful Master George Roberts of Longview put on an excellent spaghetti dinner afterwards and the brothers all had a good time. The following weekend Castle Rock held a special for initiating Brother Andrew Vockrodt into the Enter Apprentice degree. Several of the degree team were ill and unfortunately were not able to attend. This made it necessary to fill the places with visiting brothers. Thankyou to all who stepped up when called. A Good degree was held and several new brothers participated with recently learned work. This is something that is always a butterly event when performed the first time but everyone of them did a good job and survived the experience. Good job brothers! Good Job everyone. The last stated meeting was held January 21st with visiting brother, very worshipful brother Micheal Sanders presenting an informative and useful planning workshop. It was pleasing that many of the ideas and goals of the brothers were in step with the Grand Lodge as were activities, policies, and goals already enacted and identified by Castle Rock Lodge. There were new ideas which the brothers all agreed should be embraced as well. Castle Rock Lodge is hopeful and working toward success implementing the knowledge we gained from VWB Mikes presentation. A visiting brother also pointed out the VWB Mike has thrown his hat in the ring for Junior Grand Warden. I want to share with the brothers that I had offered Mike an opportunity earlier to share this with the lodge but he respectfully declined. Mike's position was that he was there to present his mini workshop and for the betterment of Castle Rock Lodge. I personally feel that this is very Masonic of VWB Mike Sanders. As Master of Castle Rock I Believe it is prudent to invite all of the brothers running for that office an opportunity to speak at a meeting. Brother Secretary, let us get on that invitation right away. We also read a petition for a new member. An investigating commitee was appointed and will report at the next stated meeting February 18th. Our next meeting will also be the Official visit of the District 18 Deputy to the Grandmaster, Very Worshipful Brother Gerald Schwank. It is hoped that all the brothers will be there and show that Castle Rock lodge is active, involved, and committed to Masonry! M:.W:. Brother Toby Johnsen, Past Grand Master 1979-1980,passed away Thursday January 24. Services will be Saturday February 9th @ 2:00 at St. Luke's Episcopal Church, 5710 22nd Ave. NW, in Ballard. Reception will follow at Ballard Masonic Center. M:.W:. Charles McQuery suffered a heart attack Saturday January 26th. He is recovering nicely, and maybe home as soon as Tuesday. The family has requested no visitors, but cards are certain welcome.add your text. The Next stated meeting, February 18th will hold a funeral service for MW Toby Johnson. It has been my pleasure to have met and spent time with Toby BEFORE I was a mason. A very interesting Fact about MW Johnson is that he was an Olympic Athlete at the SAME olympics held in Nazi Germany with Jesse Owens. Junior Warden Rob Maliss and Worshipful Master Pat Everdell will be attending the WARDENS CONFERENCE held in Yakima this April. The knowledge and experiences they bring Back WILL BE of great benefit to Castle Rock Lodge! Cowlitz County fair board has sent application papers to the Master for the 2008 cowlitz county fair and bronco busting rodeo.. The brothers will be aprised of the application at the February meeting, the papers will be filled out by the secretary and sent in as soon as possible. Our lodge has successfully operated the restraunt Kiosk, "BLUE PLATE SPECIAL" for 2 years since purchasing it from the Eastern Star. This will mark the 37th CONSECUTIVE YEAR that a masonic organization has operated this booth. When the board receives our accepted application, then the full application for an operators permit will be mail to us. At that time, The lodge shall also contact our contractors and suppliers, and submit an application to the Cowlitz County health department for our Temporary operators permit. This even is important to us since it provides 80% of our operating capitol and financially assists the other organizations who participate with us. A schedule for volunteers will be available at the February meeting for sign up to work this event. We have worked hard and had a great deal of fun in the past! EVERYONE JOIN US PLEASE. There are perks that are extended to our volunteers such as a Great FREE MEAL of your choice and soft drinks. SEE YOU THERE! THURSDAY MARCH 7TH,2008 CASTLE ROCK LODGE OFFICERS AND MEMBERS WILL TRAVEL TO OCCIDENT #99 IN ILWACO TO RETURN THE LODGE GAVEL WHICH HAS BEEN HELD IN PROTECTIVE CUSTODY, BY CASTLE ROCK, FOR THE LAST 4 YEARS. THE CURRENT WORSHIPFUL, PAT AND PAST MASTER, GEORGE HAVE DECIDED THAT IT IS TIME THE GAVEL BE RETURN, (TEMPORARILY) TO IT'S HOME LODGE. MEMBERS PARTICIPATING WILL MEET AT KELSO LODGE BETWEEN 4PM AND 4:30 PM. WE WILL LEAVE SHARPLY @ 4:30 AS IT IS A 1-1/2 HOUR TRIP. OCCIDENTAL HAS A FELLOWSHIP DINNER BEFORE ITS' MEETINGS WHICH WE WILL PARTICIPATE IN. FEBRUARY 18, 2008 Click here to add your text. HELLO BROTHERS FROM NAPPA CALIFORNIA. THOUGHT I WOULD UPDATE THE BROTHERS ON MY TRAVEL TO OUR "SOUTHERN" JURISDICTIONS. VIRGINIA AND I HAVE BEEN ENJOYING THIS MUCH NEEDED BUSINESS TRIP-LOL! WE GOT OUR FRIENDS SUCCESSFULLY MARRIED AND GAVE THEM A GREAT SEND OFF TO THEIR FUTURE! NATURALLY VIRGINIA AND I HAVE ENJOYED A FEW OF THE AMENITIES THE NAPPA AND S0NOMA VALLEYS ARE FAMOUSE FOR. SATURDAY WE ENJOYED THE NAPPA VALLEY WINE TRAIN NOON EXCURSION. WE HIGHLY RECOMMEND IT! THE SCENERY IS BEAUTIFUL, THE VALLEY IS RICH IN HISTORY, AND OF COURSE THE DINNER WAS OUTSTANDING. VIRGINIA HAD TOP SIRLOIN AND I INDULDGE IN QUAIL. THE DINNER WAS FOUR COURSE WITH APERATIFES'. WE WERE ABSOLUTLY STUFFED. NORMALLY A MEAL LIKE THAT IS FOO-FOO AND DECORATION, BUT THIS MEAL WAS A FEAST FOR THE EYES, THE STOMACHE AND THE SOUL. IF YOU EVER GET AN OPPORTUNITY TO PARTAKE OF THIS, BROTHERS I HIGHLY RECOMMEND THAT YOU DON'T MISS OUT! CHECKING MY SCHEDULE I HOPED THAT ATTENDING THE NAPPA MASONIC MEETING WOULD BE POSSIBLE, BUT SCHEDULE AND DISTANCES MAKE IT NIGH IMPOSSIBLE. I DID ATTEMPT TO CONTACT SOME MEMBERS BUT UNFORTUNATELY STRUCK OUT. ONE DAY I WILL BE ABLE TO VISIT WITH OUR BROTHERS HERE. OH YES, THEIR SCHEDULED MEETING IS THE FIRST WEDNESDAY OF EACH MONTH, WHICH AT THIS JUNCTURE WILL FIND VIRGINIA AND ME ON OUR WAY HOME. ATTENDING NAPPA AND ILWACO ONE NITE AND ALMOST 900 MILES APART WOULD BE JUST TO PHYSICALLY DEMANDING ON ME. HOWDY FROM THE BIGGEST LITTLE CITY IN THE WORLD. YES THAT'S RIGHT, VIRGINIA AND I ARE IN RENO NEVADA. VIRGINIA IS ENJOYING HER FAVORITE PASTIME DOWN HERE. THOSE OF YOU WHO DON'T KNOW, SHE IS SHAKING HANDS WITH A ONE ARMED BANDIT. SHE SURE ENJOYS HERSELF AND SHE HAS ME OUT OF HER HAIR FOR HOURS! LOL MYSELF, I PREFER TO WANDER AROUND DOWN TOWN AND VACINITY AND ADVENTURE. I FIND IT MUCH MORE ENJOYABLE. IT GIVES ME THE OPPORTUNITY TO LOOK FOR MURALS AND SIGNS FOR MY NEVER ENDING QUEST TO FINISH ONE OF MY COFFEE TABLE BOOKS. I HAVE BEEN ABLE TO ADD A FEW PICTURES AND I'M HOPING FOR A LOT MORE LATER. IT IS ALSO CONVENIENT THAT I HAVE SCHEDULED VIRGINIA'S PASTIME WITH THE OPPORTUNITY TO ONCE AGAIN VISIT RENO LODGE IN DOWN TOWN OLDTOWN. MY LAST VISIT (ALSO MY FIRST) WAS THEIR NOVEMBER TURKEY DAY MEETING. YES, THEY STUFFED ME WITH COPIOUS AMOUNTS OF DELICIOUS FOOD. THE MEETING WAS AN EXCELLENT EXPERIENCE AND I MEET A LOT OF FINE BROTHERS. WE ARE STAYING AT THE ATLANTIS SPA AND RESORT ( ONE OF THOSE PERKS VIRGINIA GETS FOR PULLING HANDLES) WHICH IS QUITE A WAYS OUT OF DOWNTOWN. FOR SOME ODD REASON, I WAS FIGUREING OUT HOW LATE I COULD STAY AT THE MEETING WITHOUT USING A CAB WHEN IT SUDDENLY DAWNED ON ME, I HAVE A CAR AND I CAN DRIVE! BROTHERS, IT IS ONE OF THOSE THINGS WHEN YOU OVER PLAN AND LOSE SITE OF THE FOREST FOR THE TREES. SO OBVIOUSLY I WILL DRIVE TO THE MEETING AND I DO BELIEVE THAT VIRGINIA WILL RIDE WITH ME SO SHE CAN VISIT OLD FRIENDS IN CIRCUS CIRCUS AND OTHER CASINOS NEARBY. WE WILL BE DEPARTING WEDNESDAY MORNING TO BE HOME INTIME FOR THE ILWACO EVENT. RECEIVED A CALL FROM MARTY FROM GRAND LODGE ON MY ANSWERING MACHINE OVER THE WEEKEND. THERE IS A CHANGE OF PLANS FOR THE WARDENS CONFERENCE CONCERNING MY ATTENDANCE AS A MASTER. THE DEPUTY GRAND MASTER HAS DECIDED THAT ONLY SENIOR WARDENS, JUNIOR WARDENS, AND SENIOR DEACONS WILL ATTEND THE CONFERENCE. THE SIGN UP FOR THE CONFERENCE HAS BEEN VERY GOOD AND THERE IS ONLY SO MUCH SPACE AVAILABLE. BOUNTIFUL ATTENDANCE BODES WELL FOR OUR STATE! OUR JUNIOR WARDEN ROB MALISS (SPELLED YOUR LAST NAME CORRECTLY ROB) WILL BE ATTENDING AS WILL OUR SENIOR DEACON BILL MELLON. BILL WILL BE ATTENDING AS THE JUNIOR WARDEN FROM VANCOUVER DAYLITE LODGE. OUR SENIOR WARDEN WB JERRY COONEY WILL BE IN SOUTH AMERICA ATTENDING A CONFERENCE. I AM LOOKING FORWARD TO THE KNOWLEDGE AND SKILL WHICH OUR JUNIOR OFFICERS WILL BRING BACK TO CASTLE ROCK #62. THIS IS PART OF OUR PLAN TO CONTINUE GROWING AND IMPROVING OUR LODGE. o add your text. MASONS, MASONIC, MASONS, MASON LODGE text. Lodge officers association met at their stated meeting and discussed changes to the bylaws, the up coming coffee stops, and then judged Junior Achievement Papers. Brothers Dave Foskett, Richard Hallet, Pat Everdell, Rob Maliss, Judy Foskett among a few others did the work. W.:B.: Pat Did all schools who had turned in applications. Kelso and Wahkiakum failed to submit theirs. A debate is ensueing whether to allow those school to be a participant. Kelso Coffee Stop- March 10th -- March 15th 6 am until 6 pm. please helpt brothers. monday March 17th, 6:30. Corn Beef and Cabbage. Castle Rock Stated meeting @ 7:30. We will be voting on a petition for the Degrees of Masonry. Brother Bill Mellon will be presenting the dinner. Friday, March 21st. DISTRICT MEETING @ KELSO Dress is casual, Bring your significant other. Maple Chapter will be serving dinner, Cost is $10 per person. M ost Worshipful Wayne I Smith has requested that Masons bring a NEW TOY for a donation to his TOYS FOR TOTS program. SATURDAY March 22nd. We have a Scheduled EA Degree @ 1pm in the Castle Rock Lodge. Brother Bill Mellon has been placed in charge of the degree team. FRIDAY March 28:. Eastern Star Installation. Mary Jane Parker installed as Worthy Matron. APRIL 3, THURSDAY 6 PM. LONGVIEW IS HOSTING A DINNER AT CASTLE ROCK. PAST MASTER NITE. DRESS IS CASUAL, EASTERN STAR WILL BE SERVING AND THERE IS NO COST! WE NEED A HEAD COUNT PLEASE PLEASE PLEASE PLEASE! CONTACT GEORGE ROBERTS, MYSELF, OR A LONGVIEW MEMBER WITH YOUR HEAD COUNT! FAMILIES ARE INVITED TO THIS EVENT / DINNER. BRING YOUR SIGNIFICANT OTHER. Business for the next stated meeting will include these items. HAPPY ST. PATRICKS DAY TO ONE AND ALL. 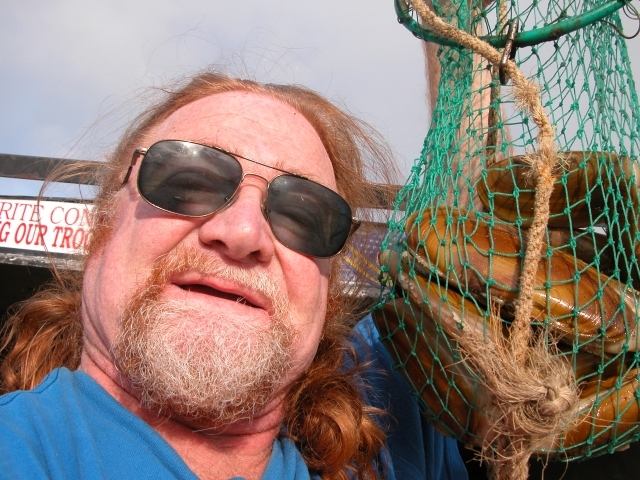 Tonites scheduled meeting will see a number of brothers out ill. Worshipful himself has caught this and will only show long enough to get necessary done. I absolutely don't want to give this pestulence to my brothers. Brothers have offered and are willing to step up and close lodge. Code requires that the principal officers have to open. The show must go on. we will have an excellent corn beef and cabbage dinner in honor of St. Paddy's day and all Healthy brothers are encouraged to enjoy brotherly love and friendship. I have been contacted by members of Rainier lodge, our "Southern" jurisdiction that several o the brothers would be joining us. Welcome Oregon Brothers. We hope your nite is filled with the spirit of Masonry. THE district #18 meeting occured friday the 21st and went well. Traffic problems held up the Grand lodge team but they arrived shortly after salad. By my count there were 47 masons and their ladies in attendance. Good food and good masonic fraternity prevailed. The Grand Master And District Deputy Gerald S. Awarded plaques to the district lodges for distinction in their areas. Castle Rock was honored for our WEB PAGE and Internet innovation. SWEET! The plaque can be seen at the lodge. Brother Bill Mellon and I discussed mounting our awards and it will be done soon. THIS MONTH IS THE WARDENS CONFERENCE. JUNIOR WARDEN ROB MALISS AND SENIOR DEACON BILL MELLON WILL BE ATTENDING. APRIL 11-13TH IN YAKIMA WA. I SURE HOPE THEY FIND THE MINER BURGER 4 MILES FROM THE CONVENTION CENTER! THE MASONIC COLLEGE WILL BE HELD ON THE 12TH AND HOSTED BY WORSHIPFUL BROTHER GEORGE ROBERTS IN PLACE OF B. BILL MELLON. WE WILL BE WORKING ON PROFICIENCY IN OUR CRAFT. ALSO ON THE 12TH IS THE SHRINERS CRAB FEED HELD AT THE KELSO EAGLES 4001 PACIFIC AVENUE. TICKETS ARE $20 AND CAN BE PURCHASED FROM DEWEY REXFORD. IF THAT ISN'T ENOUGH HAPPENING ON ONE DAY, THE L.O.A. WILL BE MEETING @ 9 AM @ KELSO. WE WILL BE DISCUSSION THE POSED CHANGES TO THE BYLAWS. SENIOR WARDEN JERRY COONEY WILL MISS OUR APRIL MEETING AS HE IS ATTENDING A SYMPOSIUM IN URUGAUY. FORGIVE THE SPELLING! LONGVIEW LODGE WILL BE HOLDING A FELLOW CRAFT DEGREE ON THE 19TH @ 9 AM AT THE CR. #62 LODGE. AS ALWAYS, CR #62 WILL HOLD OUR STATED MEETING THE THIRD MONDAY--21ST @ 7:30 PM. The Next Stated meeting is May 19th. Castle Rock will have a SEAFOOD CHOWDER BEFORE THE MEETING. CHOW WILL BE SERVED STARTING @ 6pm.. The chowder will have OYSTERS, RAZOR CLAMS, & BUTTER CLAMS. YUM YUM! VWB Dennis Robbins passed away 4 pm saturday May 9th. WB's Richard Hallett, Dave Foskette and George Roberts went up and visited with him in the hospital just hours before he went to that spiritual Lodge. According to the brothers He was not doing well at all when they visited him. Click BRETHREN, OUR NEXT STATED COMMUNICATIN IS THE ABOVE DATE. WE WILL HAVE "BREAKFAST FOR DINNER". HASHBROWNS, HOTCAKES, SAUSAGE PATTIES, BACON. AND BISCUITS AND GRAVY. THIS WAS A TRADITION WHEN MY BOYS/FAMILY WAS YOUNG AND SINCE WE HAD A SUCCESSFUL FAIR THIS YEAR, WE ARE ABLE TO HAVE THIS BOUNTY TO SHARE WITH OUR BROTHERS. THE TIME OF "BREAKFAST" WILL BE 6PM-6:30PM TO START UNTIL OUR STATED MEETING AT 7:30. THIS MEETING WILL BRING US OUT OF THE DARK AND INTO OUR NEW YEAR. I HAVE HIGH HOPES FOR OUR LODGE AND THE DISTRICT. WE HAVE BEEN GARNERING NEW MEMBERS WHO ARE ENTHUSIASTIC AND IN LOVE WITH THE IDEOLOGY OF FREEMASONRY. LET US BECOME ENTHUSED WHILE WE WORK TOGETHER. FELLOWCRAFT DEGREE FOR ELTON STRANGE. BROTHER FRED, CASLTE ROCK HAS A PETITION WAITING FOR YOU. BROTHER HALLET IS READY TO GO!lk here to add your text. BROTHERS ALL. THE COWLITZ COUNTY FAIR IS BEHIND US. PARDON ME DELAYING THIS ENTRY BUT, BY GOLLY I AM JUST PLUM TUCKERED OUT! THIS REQUIRES A GREAT DEAL OF COORDINATION, HARDWORK, AND TEAMWORK BY EVERYONE. MY PERSONAL THANKS TO ALL OF THE CONCORDANT BODIES AND BROTHERS WHO FREELY GAVE OF THEIR TIME TO MAKE THIS A RESOUNDING SUCCESS. IT IS MY PLEASURE TO REPORT THAT WE HAD A RECORD INCOME THIS YEAR, $9800.00. OF COURSE BECAUSE OF THE ECONOMY WE HAD A RECORD EXPENDITURE YEAR AS WELL. THE BOTTOM LINE IS THAT CASTLE ROCK CLEARED $4,200.00. THIS TOO IS A RECORD. WE WILL OF COURSE BE DIVIDING AND SHARING OUR GOOD FORTUNES WITH THE LODGES AND CONCORDANT BODIES WHO HELPED MAKE THIS YEAR SO SUCCESSFUL. I CAN UNABASHLY STATE THAT OUR DOOR WILL BE OPEN FOR ANOTHER YEAR! COUR OCTOBER MEETING WILL BE THE 20TH WHERE WE WILL FIND OURSELVES ELECTING NEW OFFICERS FOR NEXT YEAR. PLEASE BE THINKING OF WHO YOU WOULD LIKE AND WHAT POSITIONS YOU WOULD LIKE TO FILL OR HOLD! OUR BROTHERS WORK TOGETHER AND THAT IS WHAT THIS TIME OF YEAR IS ABOUT. DEEP THINKING AND COMMITMENT. PLEAS STEP UP TO FULFILL OUR OBLIGATIONS AND TO SERVE.. THE DEGREE FOR BROTHER ELTON STRANGE WAS AN EXCELLENT ONE. BROTHER ELTON PROVED UP IN LODGE AND DID A MAGNIFICENT JOB. THE BROTHERS EXTENDED TO HIM A STANDING OVATION. WELL DONE BROTHER ELTON. ALL KNOW THAT YOU WILL BE AN OUTSTANDING MASON. WE KNOW THAT WE CAN SEE GREAT THINGS FOR YOU IN "OUR" FUTURE. IT WAS BROUGHT TO OUR ATTENTION THE WB. GEORGE ROBERTS HAS BEEN VERY ILL AND UNDER A DOCTORS CARE. BROTHERS, LET US KEEP HIM IN OUR PRAYERS, AND IF POSSIBLE DROP HIM A LINE. I DON'T KNOW IF HE CAN ACCEPT VISITORS. GET BETTER BROTHER GEORGE! WE LOVE YOU AND THERE'S NOTHING YOU CAN DO ABOUT IT! WB PAT WILL BE ON VACATION FOR TWO WEEKS. HE WILL RETURN APPROXIMATELY ON OCTOBER 10TH, AND THEN WILL BE ON BASE AT FT. LEWIS UNTIL THE 11TH OR 12TH. THE lick here to add your text. During the last two days virginia and I have ventured on less traveled paths. We have enjoyed our travel of course, visited many places and experiences many things. I have had the opportunity to work on my books. I continue to make progress with the steadyness of a tortoise. During the course of looking for murals, unusual signs and such we of course spotted several lodges. Did you know that our brothers are almost every as evident by their lodge buildings? I'm sure you are and thats' great! Our buildings make a visual presence in our communities around the nation. Naturally, as master of Castle Rock I stopped and attempted to contact members in the cities I found the lodges. NO SUCCESS my brothers. This reinforces TWO programs that I introduced at the last stated meeting. Our lodges are present in the community, but our physical presence, brothers operating and contacting visiting/traveling brothers is a difficult task. It hasn't been happening and perhaps that is just another one of the many reasons why Masonry has had a substantial decline in the past two decades. Yes it is improving, but it won't continue UNLESS we are able to be contacted. I will review those two programs here. 1. Every lodge member of Castle Rock WILL carry a petition for membership on them at all times or have one readily available. a. as a consequence of not having one, when asked by a lodge brothers, a 25c penalty will be assessed. Yes, 25c is not much but it is a reminder of how important it is to be ready and able to assisted a potential member. 2. As a consequence of promoting our lodge, there are attainable prizes or awards for those brothers who bring new members into Castle Rock Lodge. Those awards are on display in the temple. They are substantial big boy toys.. a remote control helicopter, a scrolling L.E.D. name badge, a hand tennis racket bug zapper, and a voice command car. I am hoping that our brothers will inquire to qualified worthy men "have you considered becoming a MASON"? Upcoming events are a Master Mason degree for Elton Strange at the Next Stated meeting in November. Installation will be at the Stated meeting in December. BROTHERS, our brother lodge, Little Falls, has recently lost members who were prime movers and doers. They need our help and as masons, we are obligated to meet this need. I for one will be up in little falls at their next stated meeting showing my support. I urge EVERY BROTHER to attend Little falls and extend the hand of brotherhood. here to add your text. HAPPY THANKSGIVING TO ALL! MERRY CHRISTMAS IS RAPIDLY ARRIVING. Hi Brothers, hope all have had a wonderful thanksgiving day with their friends and family. Mine is spent up her on base with my sons and grandchildren. Tomorrow is te traditiona black friday which I and my family will not be taking part of. too many people for us and besides, we usually have most of our christmas shopping done by this time. there are bargains out there ALL YEAR LONG! So Virginia and I pace ourselfs and shop as we go through the year. So, here is the skinnny on up-coming actions from this point. Castle Rock #62 will have installation of officers. Apart from the afore mentioned elected officers,the following have agreed to accept positions for the ensueing year. The installation will be Tiled. Brothers, I encourage you to Please visit our lodges in this district and our brothers South Of the Boarder as well. It promotes fraternalism and strengthen the bonds between us all. Oh yes, Castle Rocks Meeting will be December fifteenth (15th) @ 7:30. Our newest raised master mason is Brother Elton Strange. Elton was raised at the November Stated meeting. Attendance was very good and we had a lot of work to accomplish as well. In addition to the degree work, we also had a positive vote for affiliation for brother Angus Koonz and several petitions read into lodge as well. Investigation Teams have been appointed and and we will await their reports and vote on our petitions after installation during our November meeting. TODAY WAS A HISTORIC DAY FOR ALL WASHINGTON MASONS. Grand Mound Historic Lodge #3 was consecrated and re-established on the site of Ft. Henning Wa. and original Grand Mound Lodge Site. Special communications of the Grand Lodge was opened @ Olynpia #1 and then Grand Mound lodge was opened following its proclamation by the Grand Master. I must share brothers, that I had never been present at a meeting with so many Most Worshipfuls. With the exseption of one right worshipful, all officers of the newly reconstituted lodge are past grand masters. EXCEPTIONAL. In lodge we did talk about charter membership in this lodge. Brothers, if you have not sent in your petition and charter membership fees, it is too late. Grand Mound #3 is the "largest" lodge in the state. Grand lodge should have a picture posted on its' site of some of the proceedings and of a few of the HUNDREDS of members who attended the special communication. Little Falls lodge will have their installation this friday, December 12 @ 7 pm. I urge all brothers to attend and support our brothers in Vader.ere to add your text. The Installation refreshments at this time will be Coffee, and a self serve sandwich buffett. I have just spoken with Rich Hallett, and the jobes' have asked for a box social. However, due to the threatening weather and the last minute notification we have opted for PIE. So, During the course of our meeting, The Jobes' will leave some pies downstairs and are asking for a "DONATION" Please Let all of the brothers knowabout this addition to our plans. Brothers, we have a ballott on three members, installations, and several pieces of business to conduct at our regularly scheduled meeting this monday. Please brothers, call those brothers you have regular contact with and let them know that this meeting is important and urge everyone to attend! DECEMBER 15 STATED MEETING. INSTALLATIONS, BALLOTING, IMPORTANT BUSINESS. Let it snow - let it snow - let it snow! That sums up the day brothers. white stuff from the sky that quickly built up on the roads. Here in the South Kelso Bad Boys land we have 7-1/4 accumulation. According to my weather station the temp was 26.6f, Humidty @ 100%, and blizzard conditions. That is visibility less than 1/4 mile. Brothers, I couldn't see the houses the next street over. Virginia and I enjoyed it greatly with hot chocolates and warm fuzzy blankets. The song "White Christmas" has been playing since halloween and now we have one. Remember to stay safe brothers. Don't drive around unless it is a have too. Keep in touch with your brothers so we don't loose track of each other. Most of all, let our inner child FREE and enjoy the weather. CHappy new year brothers, this is an exciting new year! I think that we are entering a new phase in our country and in masonry. I sure look forward to positive changes. Januarys' meeting will, as always, be on the 3rd monday of the month. I expect a lot of brothers to17 attend and for friendship and brotherly love to prevail. We do have TWO qualified stewarts and I have planned a fulfilling repast for this month. Februarys meeting will start off with a bang, Thos of you with web browsing ability, you are in for a scoop. The Jobes Daugters are hosting a BOX LUNCH SOCIAL. I would like to know as far ahead as possible how many brothers will be present so The girls can plan accordingly. I don't know what they have planned, but I have never been disappointed in the past! A pesonal note. I attending RAINIER LODGE # 17 tuesday. it was a great meeting filled with food, fun, fellowship, AND DEGREE WORK. It was interesting and Fun to attend a dcegree in another jurisdiction. The personal note is that when I returned home, I was informed that my very very good friend and neighbor Richard Faling had died in his sleep. I am sharing this because it is part of masonry. We share the precious jewels of a master mason, Friendship, Morality, and Brotherly love. All until that time when we relocate to that celestial temple. I will miss my friend, but am comforted by the knowledge that this life is merely the training grounds for that great adventure we are preparing for. Well Brothers, until our next meeting, May Brotherly love prevail.Girlsdd your text.